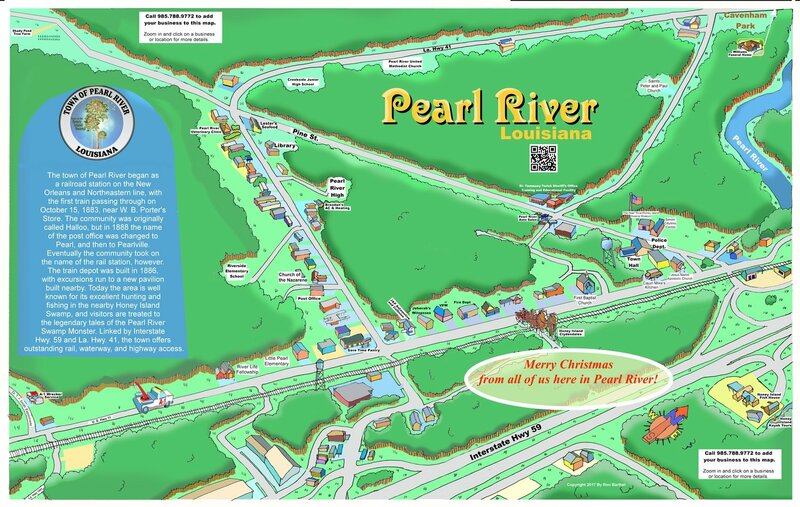 The little town of Pearl River was the gateway to New Orleans years ago from the north via Old Hwy. 11. Now with 2 exits off I-59, the town has continued to be a favorite place to settle down and raise a family. Hunting in Honey Island and fishing in the Pearl River are favorite pastimes for both locals and visitors. Take the digital tour at www.shoplocalusa.online and learn more about Pearl River. Quantity purchases of 11" X 17" prints are available by calling 985.788.9772. Order your 24" X 36" print today and we'll cover the cost of shipping and handling.